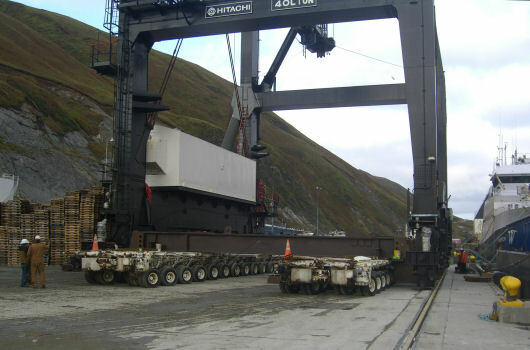 A used Hitachi container crane was relocated from Long Beach, CA, to Dutch Harbor, AK, in late 2007. Argonautics Marine Engineering, Inc. provided the marine warranty survey for the tow. 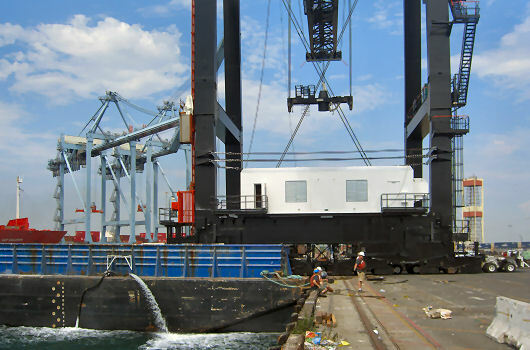 The crane, weighing approximately 800 t, was loaded onto the 300 x 84 ft cargo barge WESTERN CARRIER with multi-wheel trailers and secured to the barge with pipe bracings. 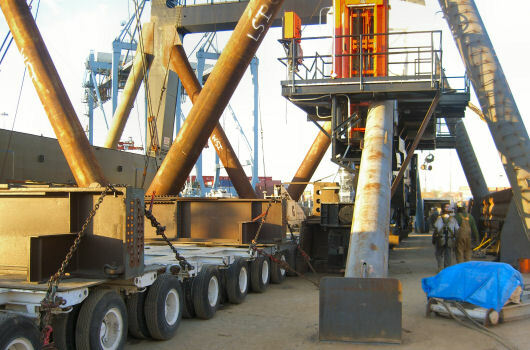 Loose items, containers, and loading equipment were secured with welded clips and/or chain lashings. 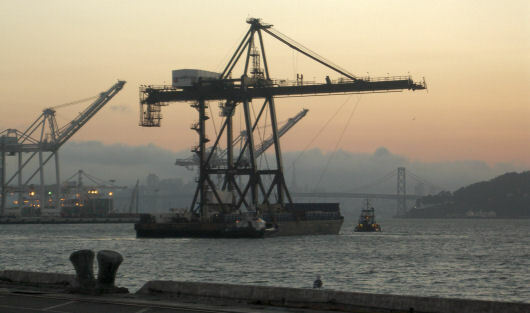 Upon receipt of the tow approval certificate, the tug and barge departed Long Beach early September, but heavy swells caused some of the tie rods to loosen, which required a quick stop over in Oakland for repairs. 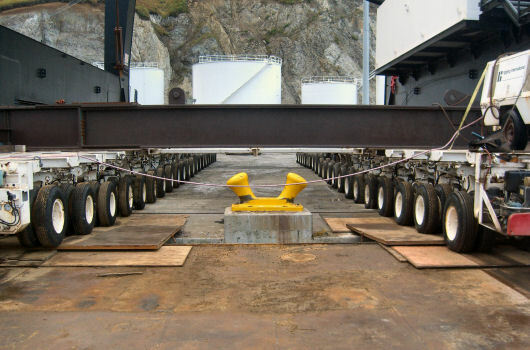 Early October, the crane arrived safely in Dutch Harbor where the crane was successfully offloaded and lowered onto its new rails. Attend the offloading operation in Dutch Harbor.